In drink terms, a shrub is a concentrated syrup that combines fruit, sugar, and vinegar. The result is a sweet, acidic mixer that can be enjoyed on its own or used in a variety of mixed drinks. Quite often, herbs and spices are also used to created interesting flavor combinations. You may also see shrubs referred to as "drinking vinegars." Apple cider vinegar is the most common base and shrubs, just like switchels, are a great way to drink this vinegar for its health benefits. Shrubs can stand alone in drinks. They are often topped with either cold water (as was customary in early America) or club soda, ginger ale, or any clear soda. Combine 1 ounce of shrub with 5 to 6 ounces of water or soda over ice for an easy drinking beverage. In recent years, shrubs have become a popular cocktail ingredient as more bartenders are crafting their own and developing new, rather creative recipes to mix them in. Because they are acidic, shrubs are difficult to mix with fruit juices that are also highly acidic, so you might want to avoid citrus and similar fruits. The popularity of shrubs has made them available on the commercial market as well. Companies like Shrub & Co. and Shrub Drinks sell a variety of shrub flavors. Shrubs are an excellent way to add a new zing to cocktails and they're quite versatile. For instance, an apple fennel shrub can be paired with a shot of bourbon and a splash of ginger beer. 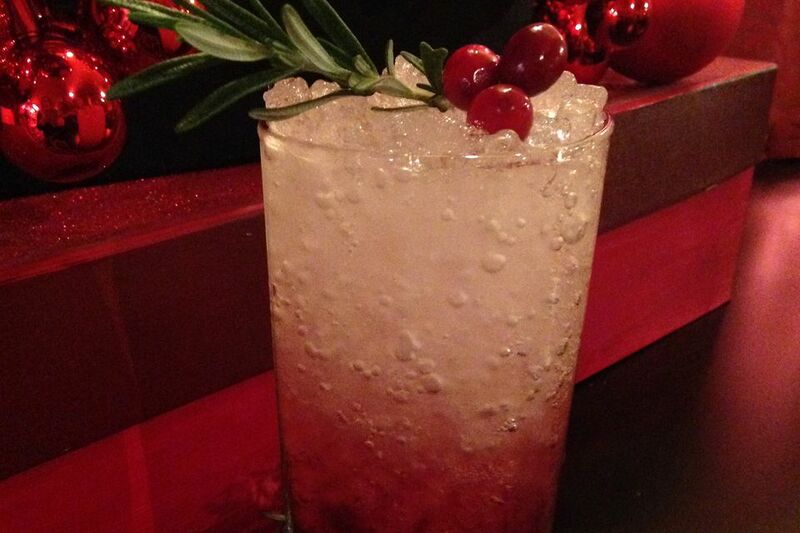 Likewise, a cranberry-fig shrub is excellent with an aged rum, ruby port, and ginger beer or ginger ale. Apple shrubs are also quite popular, mixing well with tequila, mezcal, whiskey, or vodka. The best way to experience shrubs is to experiment. They're fascinating once you get a taste for them and a couple cocktail recipes offer great inspiration. Daiquir-ease: Uses a homemade blueberry shrub made with apple cider vinegar and agave nectar. Pear and Pomegranate Champagne Shrub: Includes a homemade pear and ginger shrub with an apple cider vinegar base. Making your own shrubs is very easy and the flavor possibilities are endless. The process is similar to making simple syrup or homemade infusions and there are two methods, one cold and one warm. Sugar: As with simple syrup, you can experiment with the type of sugar you use. One may work better with a particular fruit-vinegar combination than others. White granulated sugar is perfectly fine to use, though some shrub makers prefer raw sugars like turbinado or demerara, or even regular brown sugar. Vinegar: The majority of the time, you will see shrubs made with red wine vinegar or apple cider vinegar. Some will use balsamic vinegar. While distilled white vinegar is fine, the extra flavors of the other options are preferred. Fruit: Berries are a favorite shrub fruit, though almost any fruit can be used. Apples, figs, pears, plums, and even cucumbers or rhubarb are good options as well. Extra Flavorings: Herbs and spices will add dimension to your shrubs and are an optional ingredient. Peppercorns, basil, rosemary, thyme, and fennel are just a few options that have appeared in shrubs. Typically, 2 cups of fruit are used with 2 cups each of vinegar and sugar. Herbs and spices can be added to taste, though 1 tablespoon is a good place to start with most ingredients. This will yield a nice amount of shrub for experimentation and quite a few drinks. Most of the time, you'll use just one or two ounces of shrub for each drink. When deciding which herbs and spices to pair with a particular fruit, think about natural flavor pairings. For instance, strawberry and basil work great together. Apple with either ginger or rosemary is very nice as well. The hot method is the most popular way to make a shrub and it is very easy. Some people prefer to begin by making a simple syrup of water and sugar. They will then add the vinegar after cooling and just before bottling. Add fruit and any herbs or spices and simmer to release the juices and flavors into the syrup. Strain out any solids through a double layer of cheesecloth. Bottle into a clean glass jar and allow it to rest in the refrigerator for two to four days. More sugar or vinegar can be added to taste. Many shrub makers have experimented with cold methods for shrubs. While there are a few different approaches you can take, this is a basic method. Use one part each fruit and vinegar and add them to a jar with a tight-fitting lid. Shake vigorously for about 20 seconds and then allow it to infuse at room temperature for about a week. Give it a good shake once a day. Strain out the solids through a double layer of cheesecloth and pour into a clean glass jar with a tight-fitting lid. Add one part sugar and shake until it is completely dissolved. Refrigerate for about one week (more or less time to taste). More sugar or vinegar can be added to taste.